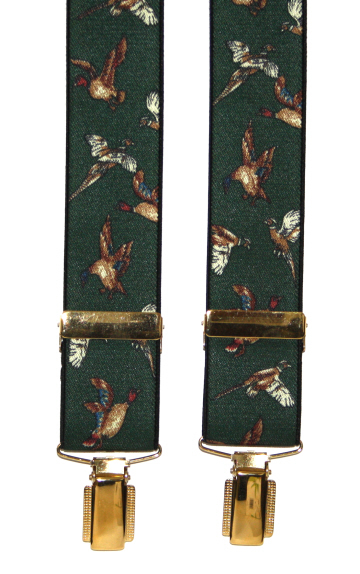 A pair of men's elasticated trouser braces depicting mallards and pheasants in flight on a dark green background. A pair of adjustable green elasticated mallard duck scene braces. Mallards in flight on a plain background. Available in two colours.